Are Spiders to Blame for Big Toyota Recall? Toyota Recall: Are Spiders to Blame? Just in time for Halloween, spiders are causing mischief – they are the main suspect in a recall of 870,000 Toyotas. Reports indicate that the spiders' webs can create a blockage in drainage tubes linked to the air conditioning condenser. As a result, water can drip down onto an airbag control module and short circuit the system. If this happens, the airbarg warning light may come on and the driver's side airbag may deploy. The issue can affect the power steering as well. The cars involved in the recall are 2012 and 2013 Camrys, Venzas, and Avalons. Hybrid versions of these cars are also included. So far, Toyota is aware of three airbag deployments and 35 instances of airbag warning lights coming on. In the cases Toyota has investigated, the only consistent cause of the blockage has been spiderwebs. It's not known if webs were involved in every incident. 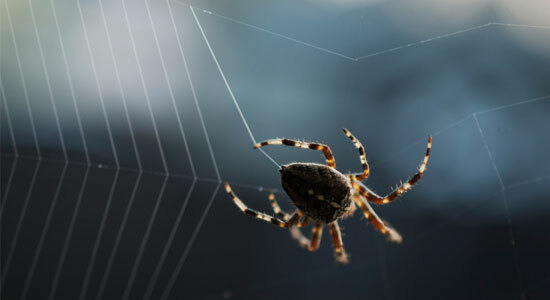 In 2011, Mazda recalled 52,000 Mazda6 sedans for problems caused by spiders building their webs in gasoline tank vent lines. Source: "870k Toyotas recalled for spider-related problem." CNNMoney.com. October 17, 2013.